This road became worst ever after okowa came on board, this is the road that leads to the major stadium in Delta state. from the major road to the stadium is less than a kilometer. 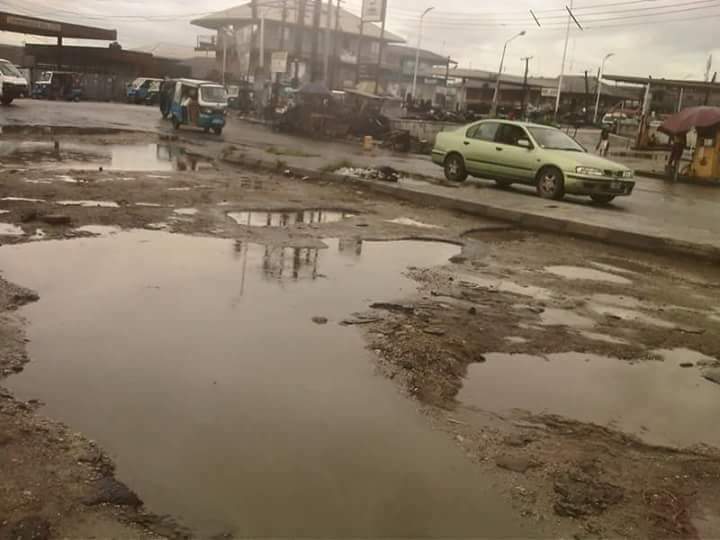 it is situated in warri south comprising urhobos and the itsekiris.several attempt has been made to draw the attention of the Governor who is fully aware of this embarrassing state of this road to no avail. warri is an oil producing community, no society or responsible government will allow this level of infrastructural decay on a vital public facility like the warri stadium yet Okowa finds it convenient to tar the road leading to his house and that of his political aide in owa his hometown. pics below. Posterity will judge you someday. ABC NEWS WORLD © 2016-2017. All Rights Reserved.